Get the latest development news, Founders Pack info and more! Explore, Adventure, Craft, Build, Survive. 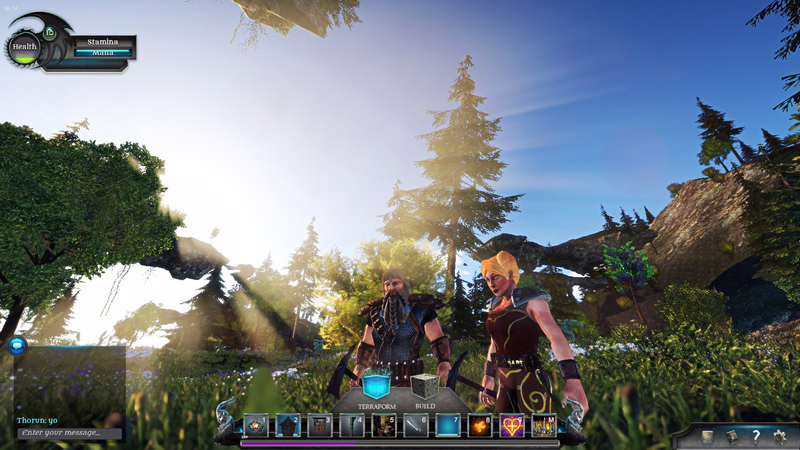 Astral Terra is a fantasy-themed sandbox world-crafting game for PC with RPG and survival elements. 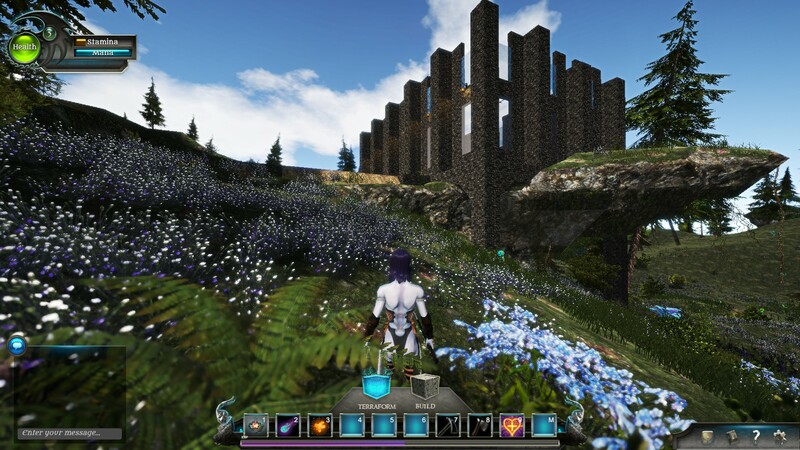 Set in a beautiful smooth voxel world that’s generated on the fly and completely editable, no two players will have the same experience, as everything from the skills you learn to the world you play in is fully unique and customizable. 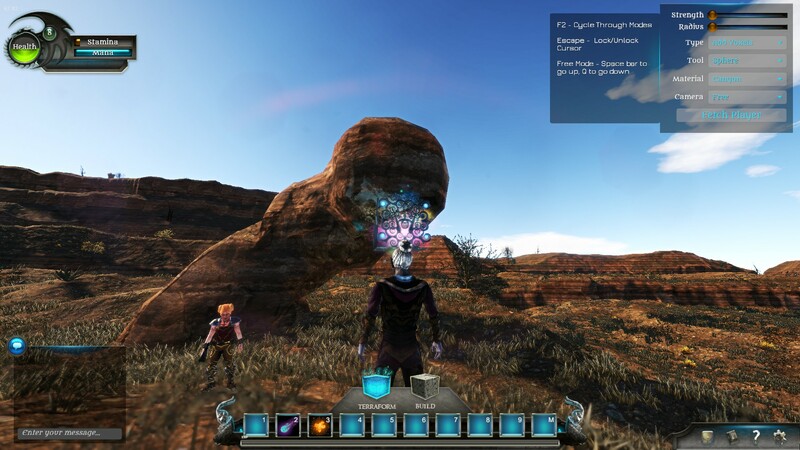 Explore the endless realm of the Fae Sanctum as a Planar Warden and pick out a piece of land to build your fortress via your unlimited power to terraform and build. 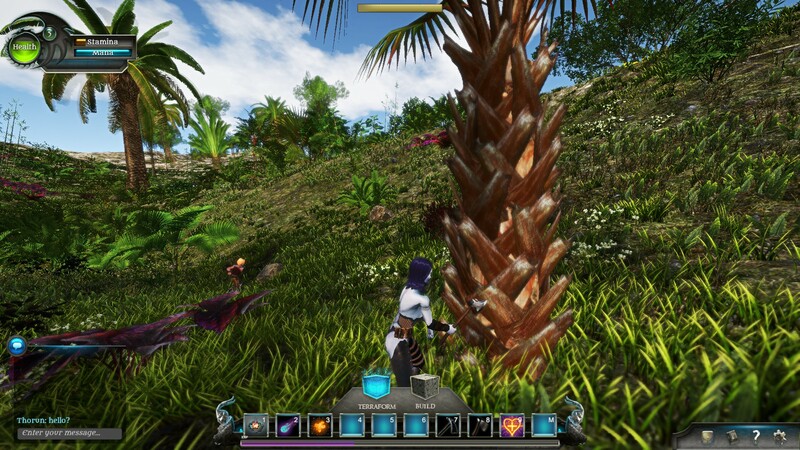 Gather resources for crafting and building or just explore the various biomes for the sake of discovery. 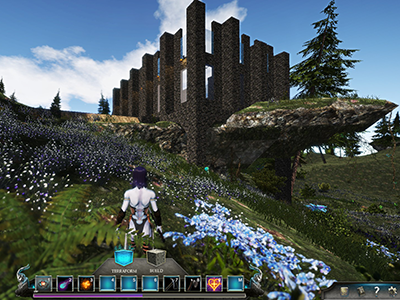 From character progression with abilities and powers, to the terrains and the environments, everything is procedural and editable! Shape your world and your character the way YOU desire! 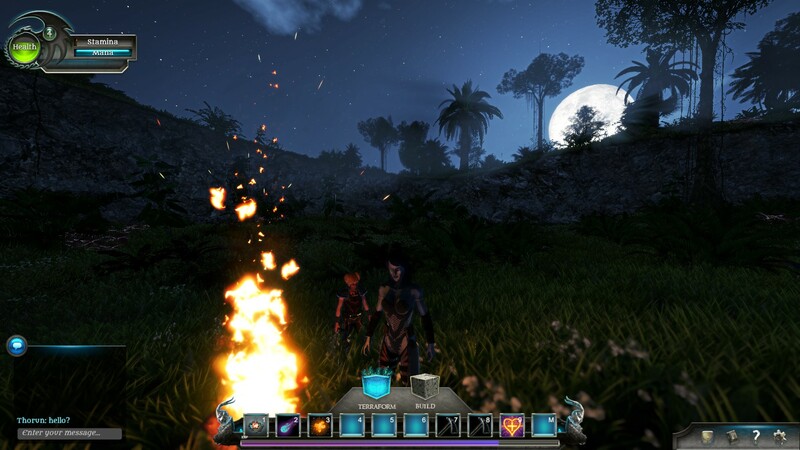 Feel free to invite or join friends to collaborate, Astral Terra allows the player to host their game online. Play Your Way! Customize your Character! No starting Archetypes – your character, a Planar Warden, grows the way you want them based on your choices and discoveries. Pick from 3 starting races: The Fae, Dark Elf, or Dwarf for character races. 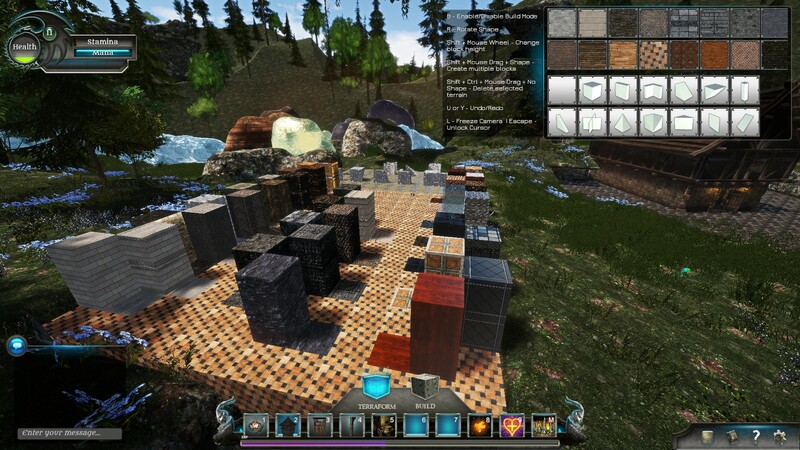 With a robust modern smooth voxel system, our worlds are generated on the fly every time a player starts a new game (or load up your saved world that you already worked on). Try out different seeds to see how your new world will generate. Each seed is dynamic and unique. You have lots of choices for editing your environment using the Kinumon Astra(Magic Cube). The tool is one of your core world powers so gathering materials is not needed. 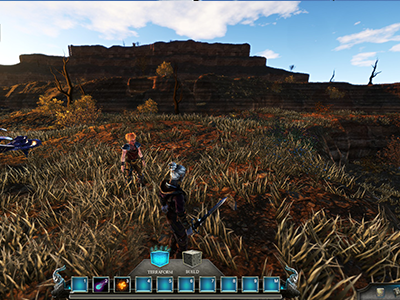 Add or remove land, change textures and more. No restrictions on terraforming. 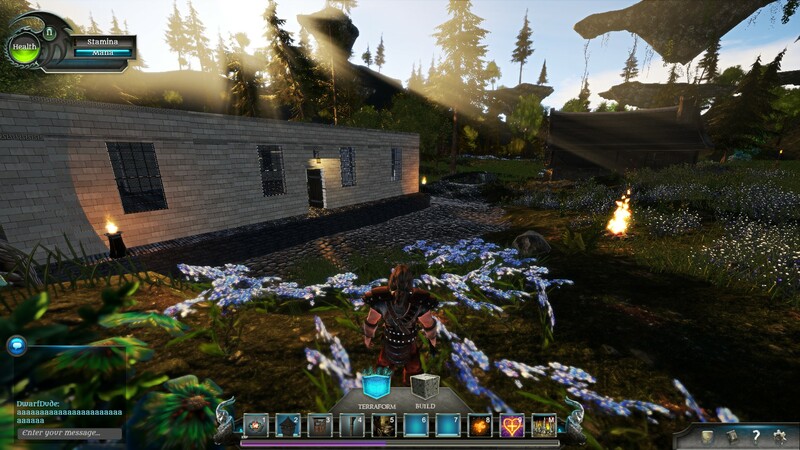 You can build using multiple shapes, materials & prefabs. The tool is one of your core world powers so gathering materials is not needed. No grinding required. 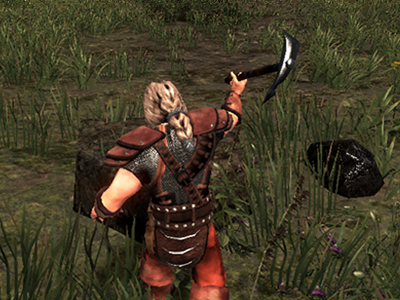 Gather ingredients & resources from combat drops OR from mining your land to build new weapons and items. Check our wiki for more details. 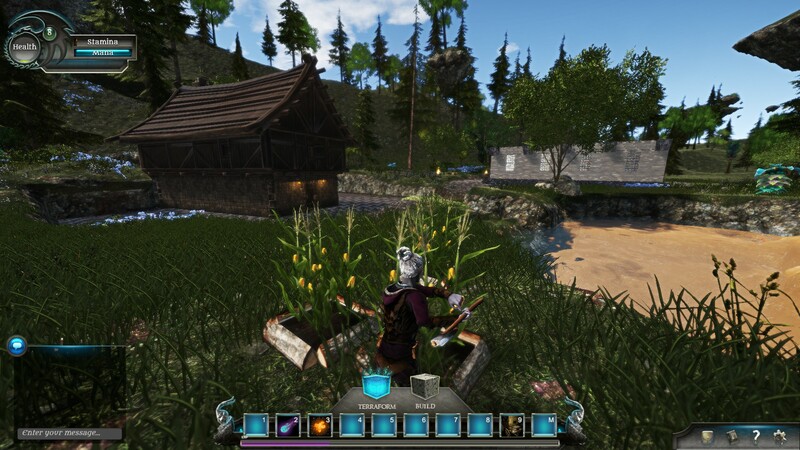 Claim your land, build your home as well as keeping yourself healed & full of stamina for future combat and spell casting. Unlock the mysteries of the world through exploration and discovery. 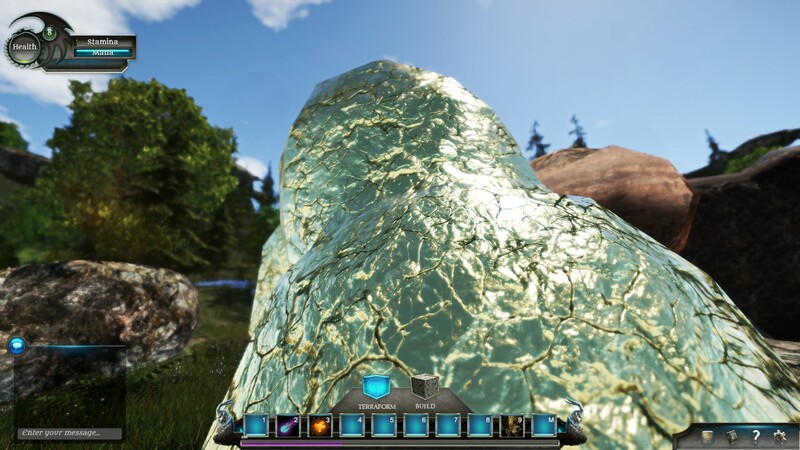 Explore underground caves & find rare minerals for crafting. Gain XP through combat, harvesting & exploration. Choose skills based on the type of player you want to be. Check our wiki for more detailed spell listings (basic powers and spell tomes available at launch, new advanced skill system coming soon). 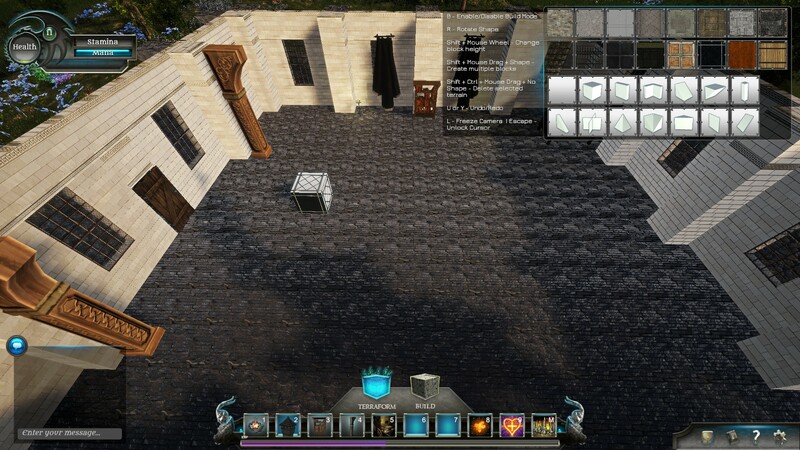 Play alone or Invite friends to join your world or travel to other players worlds with the in-game server browser. Sign in, make a character, host your game. Your friends will see your game and can join you – all done seamlessly without third party software (online private and public mode, single player coming soon).